How did Catholics and Protestants come to be divided? What impact has their division had on Western culture? Historian Christopher Dawson answers these and other important questions in his classic study, The Dividing of Christendom. 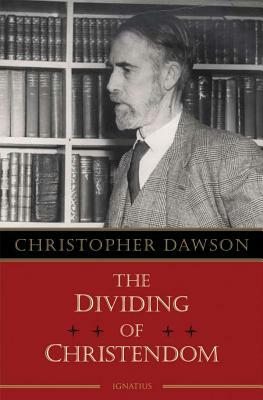 Based on Dawson's Harvard lectures, this book provides a highly readable, masterful overview of the factors that led to one of the deepest divides in Western history—one that endures and gave momentum to social, cultural and political changes whose consequences are still with us. The decline of medieval unity, the Renaissance, the Protestant and Catholic Reformations, the cultures of divided Christendom, the rise of modern secular culture, the Enlightenment, and the French Revolution are all presented in an engagingly, popular style. This is a work for all Western Christians who want to understand the historical origins of their present divisions and possible ways of overcoming them. Dawson writes, "Of all divisions between Christians, that between Catholics and Protestants is the deepest and the most pregnant in its historical consequences. It is so deep that we cannot see any solution to it in the present period and under existing historical circumstances. But at least it is possible for us to take the first step by attempting to overcome the enormous gap in mutual understanding which has hitherto rendered any intellectual contact or collaboration impossible." Ecumenism progressed significantly after Dawson penned those words, especially following the Second Vatican Council, but the problem of Christian disunity persists. This is a fitting subject for Christopher Dawson, whose genius was to present the broad sweep of history with verve, clarity, insight and authority. Only a deep appreciation of how the present Christian divisions arose, Dawson argues in The Dividing of Christendom, will permit an authentic return to full Christian unity.